Most food emojis don’t really look like the foods they are supposed to represent. Sure, they get the point across, but they tend to be more of a cartoonish take or an abstract icon. The emoji depiction is rarely as realistic as a photo would be. But one Australian photographer decided to turn the tables on food emojis. Instead of making emojis look more like photos of real food, why not make photos of real food look more like emojis? Peechaya Burroughs took common food items, embellished them and photographed them to look like emojis. 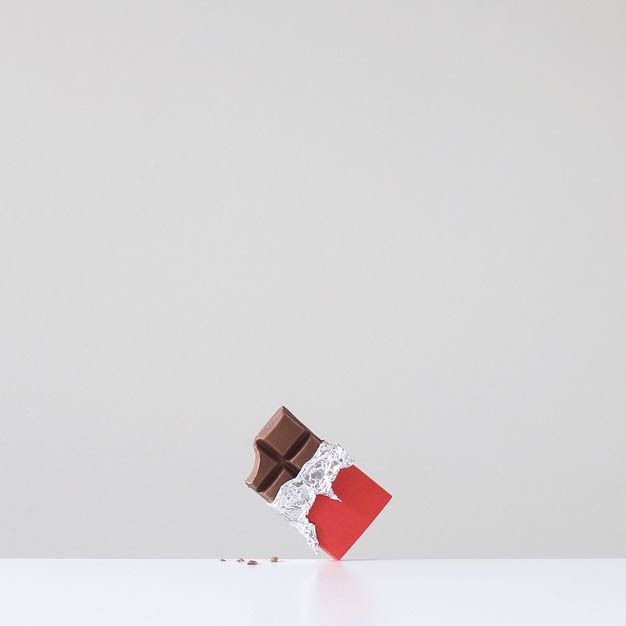 A chocolate bar is perfectly angled and wrapped to look like it does in Apple’s iOS. A little bit of shaped paper gives a cup of coffee the trademark rising steam of the “hot beverage” emoji.